Ready for more merchandise? 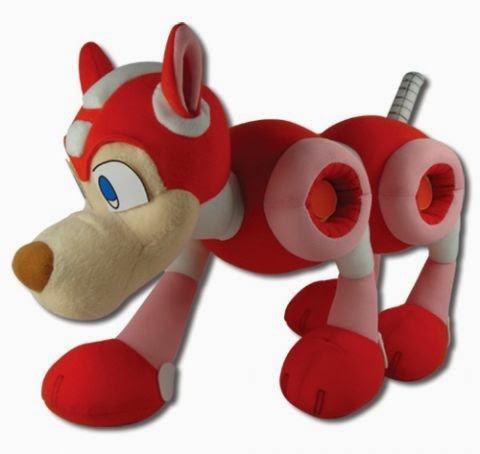 If a leaked retail listing is to be believe, GE Animation is going to be releasing an officially licensed plush Rush. This will be out towards the end of August, priced at $29.99. A source close to GE Animation informs me it clocks in at 4"L x 10"W x 9"H. Decent cuddling size, in other words. This won't be the last of the plush line, FYI. I've been told additional classic series characters are on the burner. With Mega Man and Proto Man plushies selling particularly well, the future is bright as ever for soft Mega Man goods. What an adorable plush! I wouldn't mind getting my hands on this little guy! I'm so getting this! Would any of the sites have pre orders up yet for this? "I've been told additional classic series characters are on the burner." Please be Forte, please be Forte, please be Forte, please be Forte, please be Forte... Fingers crossed - my Rock and Blues plushes are getting lonely without him!